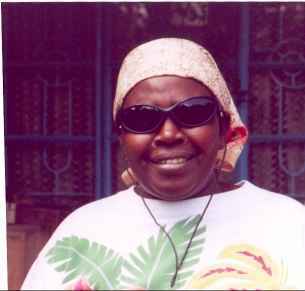 Her name is Theresa, but she is Mama Mwangi to all who know and love her. She rises early to be sure her adopted boys have their breakfast and get off to school. Then she tends the cows and begins breakfast for everyone else who is around. Her husband waits and plans the day. But he is not a “typical” husband. He can be found cooking his own breakfast and mopping the floor. But this piece is about Mama. No one messes with Mama Mwangi. She’s big, she’s mighty, and she’s completely in control of her home and loved ones. Her power manifests itself, not in a heavy hand or a glaring gaze, but in her great booming laugh, and the way she shrugs her shoulders while watching you with sparkling eyes. She is completely at home with her utter competency of running a household, managing a shamba and its livestock, caring for Pastor, raising a second family of children who are not her own, and caring for her wazungu, white people, visitors. It’s what she loves, and she doesn’t need to prove it to you. 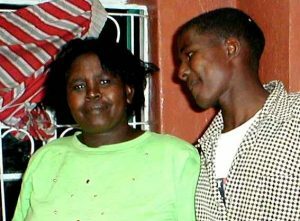 She goes about her business, bantering, in Kikuyu, with her husband and children while love oozes around the edges of each word. Knowing her limits, Mama Mwangi refuses to do more than she can; though she loves her work, she knows when enough is enough. Because a smile is always on her face, the occasional cloud that passes over her is taken seriously. She has a nonchalant manner way of responding to her husband’s demands. Pastor, “Mama, where is tea?” (expecting to be served). The afternoon finds her in the shamba, tilling the soil, planting or harvesting. She takes time to visit needy neighbors but is home to greet the boys when they return from school. After directing the chores with lots of teenage/mom banter, she begins preparing the evening meal. If there are special occasions, such as a funeral or a ladies convention and she will not be home, she is careful to prepare the main course ahead and direct the boys what they are to cook. When her husband, who shepherds six churches, is called away from his scheduled church, she preaches her magic in the pulpit without having a chance to prepare a sermon. Everyone listens. She is down to earth and speaks from her heart. When her husband joins her. They continue to speak in tandem. One in Kikuyu, the other translating in Kiswahili. It is as a dance. A couple long married who behave as one. Mama has not lost her independence as an African wife. She enjoys her role and has carved it as she pleases. Often husband and wife can be seen passing over their property together early in the morning. Yes, the expectation of the African wife is to be in the home, raising the children, cooking the meals, working in the shamba and making her husband proud. But that does not mean the picture of a suffering servant, crushed by a domineering husband. 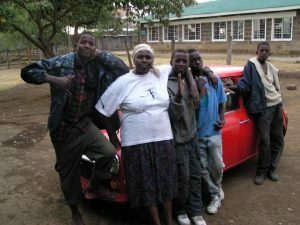 Mama Mwangi with her boys. With broken English, she communicates a world of meaning in just a few words, then says, Piga makofi, (clap your hands). 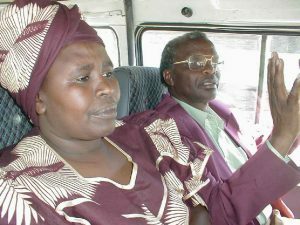 To some, Mama Mwangi is an enigma: one of the strongest and a competent woman but adheres to a hidden code difficult for a Western woman to understand. Her movements are poetry.